There are five small planets orbiting a star known as Kepler-444. 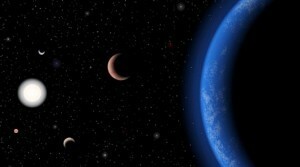 These planets are all smaller than Earth, and they are all very close to their parent star, with “years” lasting less than 10 days. None of this is really a big deal given the vast number of exoplanets we’ve discovered, but what is unusual is the age of the star, which is estimated to be about 11 billion years old. The traditional view of planet formation is that rocky Earth-like planets wouldn’t form around early stars. The reason for this is that elements other than hydrogen and helium are formed within stars, so only after some of the first stars died and exploded would things like iron, carbon and silicon be available for rocky worlds. But we now know that model is a bit too simplistic. Observed transits of the five planets. Credit: Campante, et al. 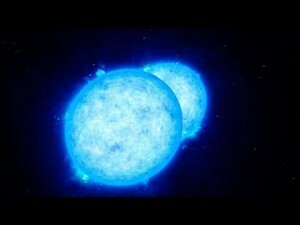 One of the ways we determine the age of a star is by its metallicity. That is, the amount of “metals” (anything but hydrogen and helium) a star contains. That’s because the less metal a star has, the older it is likely to be. Our Sun is only about 5 billion years old, for example, and has a relatively high metallicity. We’ve seen some correlation between the metallicity of a star and the type of planets that might form, specifically that higher metallicity stars are more likely to have large Jupiter-like planets. Kepler-444, by contrast, is a metal-poor star with a low metallicity. It isn’t the type of star we’d expect to have a planetary system, and yet it clearly does. Given the size of these planets, they are likely to be rocky worlds as well. 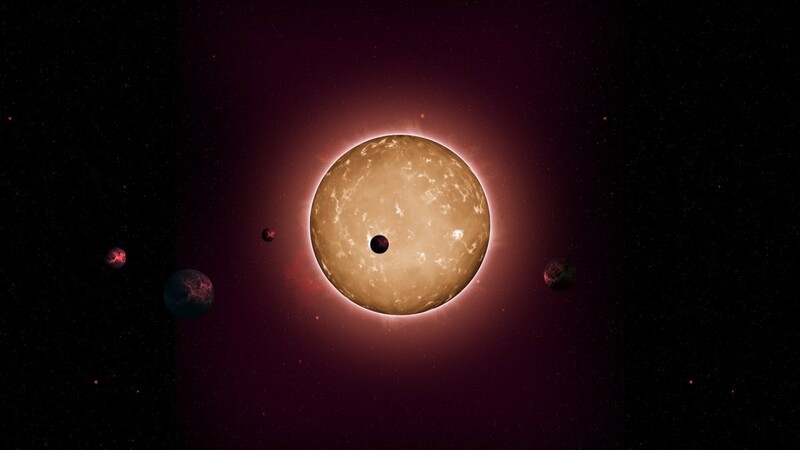 The low metallicity of Kepler-444 would imply it is an older star, but astroseismology (the stellar version of helioseismology) gives an age of about 11.2 billion years, give or take a billion. That means it formed when the universe was only about 2 – 3 billion years old. 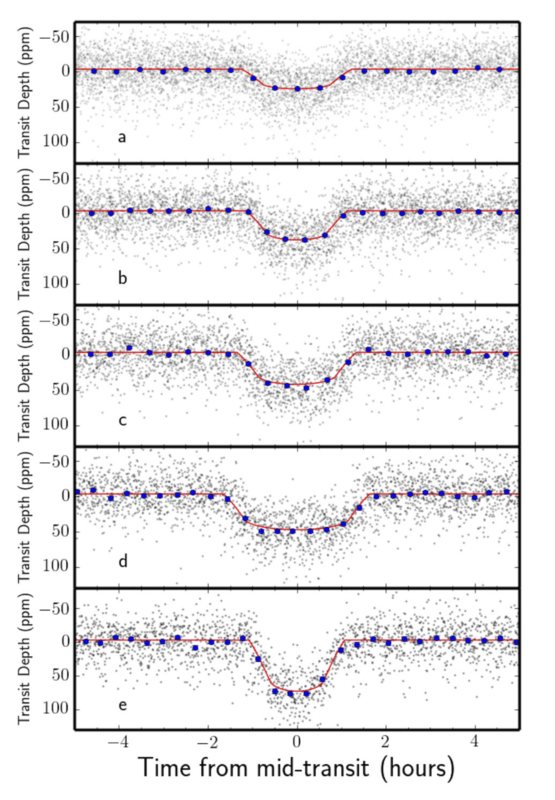 So it seems that planetary systems could form early on, even when metals were fairly rare. It would seem then that planets have been around almost as long as there have been stars. How do we know that these five objects actually formed around this star? It seems more likely that they formed elsewhere at a more appropreiate time–and place– in the history of the Universe and then were captured by Kepler-444? 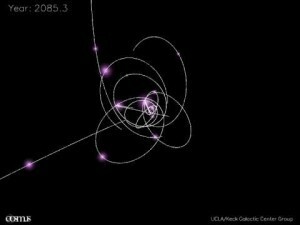 We aren’t entirely sure, but they are really close to the star, and seem to be in stable orbits. The chance of capture is fairly low. What about the possibility that the star was there for a long while (a few billion years), and then later debris from “nearby” supernovae formed the planets — essentially, the planets could have formed from dust clouds that the star captured? Would the star just have incorporated the dust clouds into itself if that were the case, instead of the dust cloud having time to form into planets? Could this “dust cloud capture” hypothesis explain the closeness of their orbits? Capturing a dust cloud or planets would be unlikely. Much of the cloud would also fall into the star, changing its spectrum.